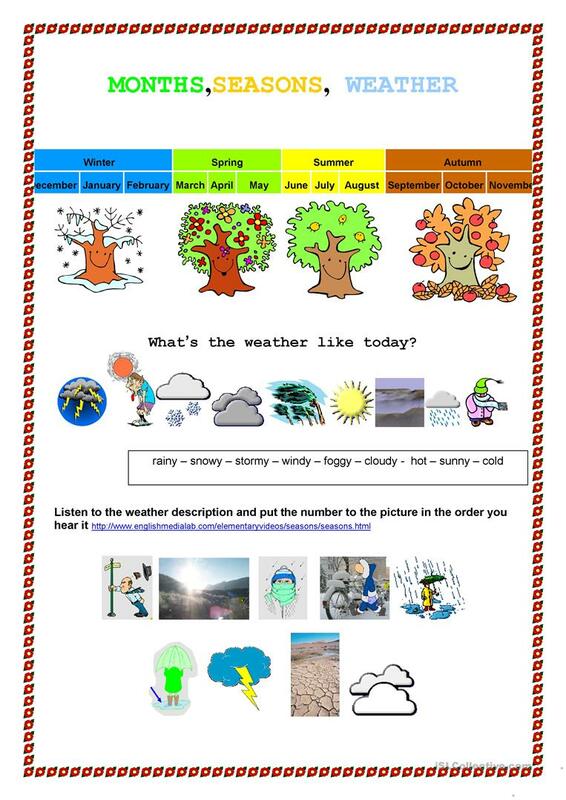 Students learn about month, season and weather vocabulary. There is a listening exercise. The link is given. 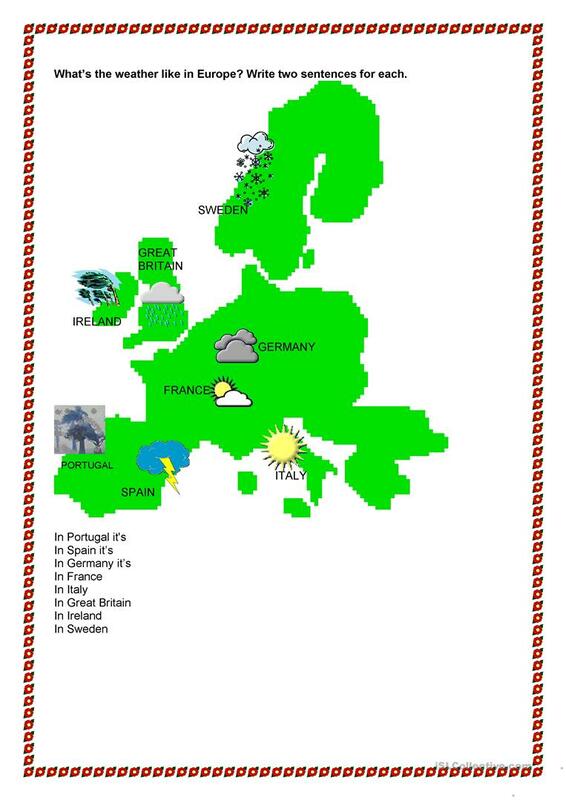 There is an other exercicse where the students have to tell what's the weather like in different countries. The present downloadable printable is meant for high school students and elementary school students at Beginner (pre-A1) and Elementary (A1) level. It is excellent for honing your class' Reading skills. It features the theme of Weather.